flash based iPod mini update, now up to 8GB! How to turn your iPod into a flash based iPod. The project where I change the microdrive in an iPod mini into Compact Flash has gained such an enormous interest and even though I explained, that in theory and as far as I can see, the storage capacity of the iPod mini can be enlarged up to 137GB (which will probably result in a 128GB Compact Flash card once they know how to produce those) this way, some people remain skeptical, probably because in the proof-of-concept I used a 4GB-card. There’s nothing wrong with being skeptical of course and I’m more than happy to show it again, this time with a card that sports twice the capacity! At this moment cards bigger than 8GB are beyond my reach and I guess you could say it would hardly make sense at todays prices. That’s the reason you don’t see me doing this with 16GB or 32GB right now. So let’s do the same trickery as last week, shall we? Only this time with twice the capacity as last week and twice the capacity this 1G mini was sold with in the first place! (doubling the capacity in one week, Moore would be jeaulous! ^_^). I acquired a 8GB card made by the same manufacturer as last week and the steps in installing this are exactly the same as I explained in detail earlier on. Because I followed the steps again myself, I thought I make some pics that I somehow missed out on last week. After you restored the iPod with its original firmware, the display will show you this image, suggesting you hook up the iPod to a power adapter. Well, I hope this answered some questions which popped up in the comment thread of the original article. Even though I wish I could, I simply don’t have the time to answer each and every one of the questions. I hope this helps. Good luck on everybody who tries this! I’m currently upgrading my mini with a 16GB CF. I wanted to get a 32GB CF to do this with, but I can’t seem to find one. Anyone wanna help me find a 32GB CF to upgrade my mini with? and What about the 1G Ipod (please, don’t laugh !!) ? It works only with iPod Mini because the IDE 1” drive connector is the same than the Compact Flash Card. I am still using my 1G iPod. I was an early adopter, and I have been wanting to get a new one, but when the one I have still works its hard to justify the cost. Could you use the IDE 1 hdd as a CFC?!?! I put a 2GB CF into my mini and tried to use the ipod updater to put the software on it, but it told me to use itunes 7 to update/restore the ipod. How do I go about doing this if itunes doesn’t recognize my ipod? Does this hack apply to all generations of mini? Mine has clickwheel labels of the same color as the case.. I see yours has different color (grey). Just so you know, not every CF card will work in an ipod mini. Only the cards that have full ata compatibility will work (like the cards above (obviously) or the Sadisk Ultra II cards ). Fixed a faulty ipod purchased from ebay which was found to have a dead harddrive,the Peak card at £26 for a 4gb was cheaper than a replacement harddrive and works really well.It is real easy to connect ! I have a busted mini, which I’ve dissasembled a few times…the hard drive and display are still in tact…does anyone know where I could get another circuit board? I picked up a second ipod hd connector for my 4th gen and removed pins, but I have yet to try it with a cf card as the battery is toast, I intend to install a very large lipo instead of the stock battery in the space saved. I got this to work with a 4GB Sandisk card on ONE of two ipods. I also tried a Kingston card but did not work on either. By the way, Sandisk is coming out with a Flash-based 1.8” SSD that in time should be the best way to update a full-size ipod! QUOTE: I have a busted mini, which I’ve dissasembled a few times…the hard drive and display are still in tact…does anyone know where I could get another circuit board? PDASmart.com. That is where I got my replacement battery and I noticed they have replacement parts for everything iPod. 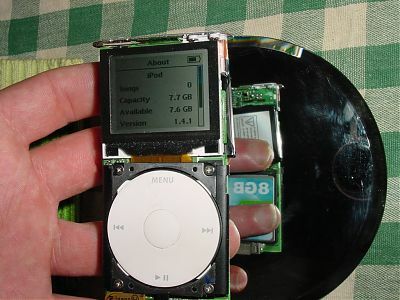 You can literally build your own iPod mini, as well as other models. 7day shop now selling 4gb CF cards for £15.99 + P&P. Have ordered one, will post results. Does anyone know whether 1g/2g iPod mini microdrives are different? will be trying this CF mod on both. I tried with 4Go Compact Flash ultra II sandisk and it works. QUOTE: Does anyone know whether 1g/2g iPod mini microdrives are different? will be trying this CF mod on both. Microdrives are microdrives. They are a standard CF Type 2 technology that is compatible with CF 1, which is what the CF cards are. However, if the Mini was designed for CF1, than the microdrives would never work in the first place. In conclusion: If you have the right card, it will work for both generations of mini. I recommend Sandisk for americans or PEAK for europeans, which is the brand the author here used. I just installed a 8gb Sandisk Ultra II into my 2gen mini. And it works flawlessly! Here’s another thing to consider: Compact Flash is the same as IDE, which leaves space for some further expansion, like wiring an IDE drive to a Mini. This would of course consume more power, spawning the need for an external power supply (even if a 2.5 inch drive is used), but I know lots of people who would give up pocket size for 100 GB of music storage. Does it matter wat speed to use? I found a cheap 45x CF. Will a 120x have improvements on writing and reading from the card? Can you please report on battery life improvement, if any? TEKQ Ultra CompactFlash Card 80X – It says Built-in ATA interface for easy Plug and Play interoperability. Made in Taiwan. Any good? Will it work? Thanks! I tried with Kingston Elite Pro 8GB CF card (formatted to FAT32) and it didn’t work! Should I try FAT16 formatting instead? 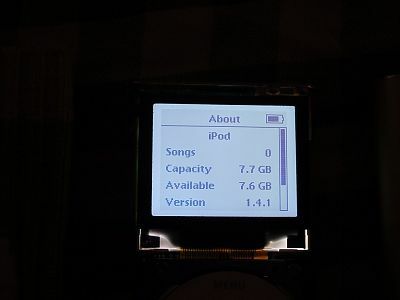 ifixit.com also has both first and second gen ipod mini logic boards for sale. 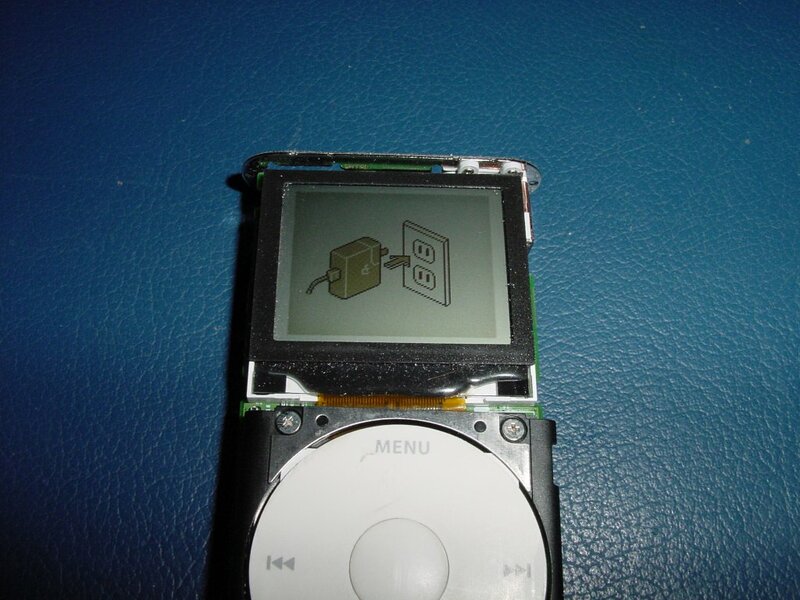 the ipod is a 1st generation click wheel and the CF card is a 512 MB san disk when i plug it in it gets real hot just wondering if u had the layout of the pins or any advice that could help me out thx. Tried a sandisk Ultra 2 1gb…can restore in itunes but failed to boot when requested to plug into wall socket. But works fine when put back original microdrive. No idea why…just can’t get it to work. Should I unistall itunes and reinstall it again and then restore ipod with the CF card inside as if first time using ipod? anyone tried this with the sandisk extreme III or IV cards yet? Thank you so much for your instructions here, I have just upgraded my IPod mini to 8Gb using the Sandisk Ultra2, in the US the Sandisk can be purchase at Costco.com for US$123. You are fantastic, thanks again. PK. Just upgraded my 1st gen mini with an 8 gb Seagate drive I got on ebay for $45. Works great – thanks. Excellent tutorial! Thanks for posting! Is there any reason a cheaper card would not work? I followed the excellent instructions to fit an 8 GB Peak CF to my 2nd Gen iPod Mini but couldn’t get it to work. When I connect to my computer USB iTunes won’t register it. Connecting to the mains charger makes no difference. 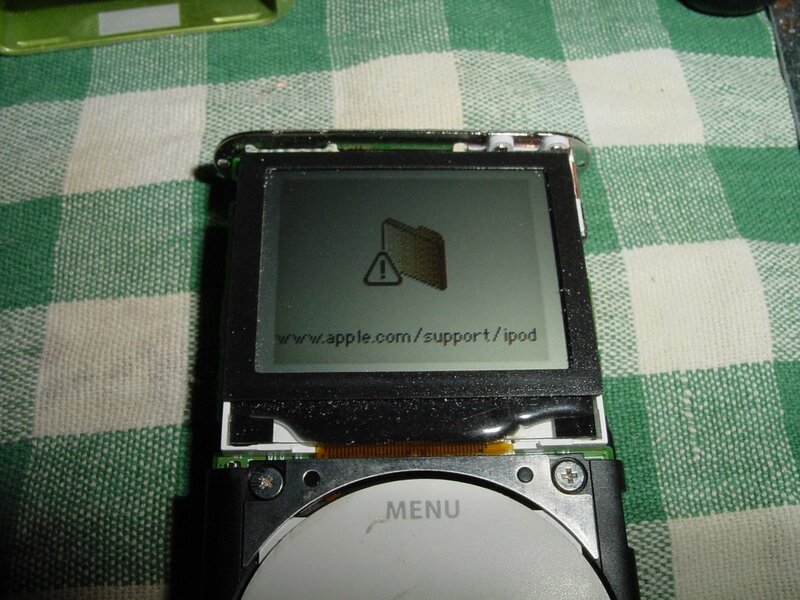 Using the iPod Updater returns an error message saying ‘incorrect firmware version’. I’ve tried reversing the CF in case I put it in wrong with no success. Any suggestions – apart from throw it away in disgust? @todger48, maybe you downloaded the wrong update version. For me, iTunes downloaded the update for me. However, I had some trouble getting the computer to read the CF in the iPod. I have tried for several weeks and finally had success! I have 3 or 4 2nd generation broken ipod minis from ebay and had a long path finding the right combination of good drive cable, motherboard, synch cable, pc. I’m glad Best Buy, RadioShack and OfficeMax have good return policies! It seems that iTunes needs to be able to connect to apple.com in order to work as well. My work computer could not perform the update since apple.com is blocked. My 2 home XP pcs could do the update. “iPod Updater”, several versions, reported an ‘ipod service error” and could not update. I guess the message is keep trying. Thanks to all who have contributed! 4GB integralmemory.com card didn’t work. Tried it in several iPod mini’s. iTunes went through restore process and instructed me to plug into mains repeatedly, only to go through same process again. So Joe R. Are you saying you buy broken ipods from ebay and then buy new ipods from Best Buy as part donors? Then put the busted crap in to the new ipods and return for a refund? You could end up in jail for that. Don’t think those stores couldn’t catch on to you. Not worth it man. Wow..thats kind of shady. I would be pissed, if i spend 350 bucks for a IPOD and found out some one mined parts out of it. Just did this project about a month ago with a SanDisk 8GB and worked like a charm. My 14 year old daughter LOVED me for resurrecting her dead pink 6 gig iPod with over 7.5 gigs of space! Thanks for posting this. I’ve done exactly as you said using an “Adata” 8Gb CF but although I’ve confirmed the CF is alive and well (plugged into a CF reader), the iPod Mini will not cooperate with the CF installed… neither OSX nor WinXP nor iTunes on either system will recognise it. Is there something I’ve overlooked? after I got the icon to plug it into a wall socket, I removed the 4 gb drive and plugged in the 16 GB one then plugged it into the wall. I still could not get it to sync however as it would continue to go itno a boot cylcle. With this, I was able to format and initialize my ipod and then do a restore in itunes. I suggest this as part of the process form teh get go for us windows users. Does it have to be the peak CF extreme or would the normal one be okay? At iPod mini 2nd gen. If this works with a Transcend CompactFlash Card Ultra133 8GB into a iPod Mini (2G) ? They cheap at the moment ! So can you say me something about it ? i think what Joe R meant was that he bought some broken ipods and some memory cards and when the memory cards didnt work he returned them. I just installed a 8gb Adata 60x in my 1st gen mini and it fired right up as advertised above. Worked perfectly first time. I did a battery check today, still using my original 3+ year old battery, running on shuffle all day long and it just konked out after 7 hrs 20 mins. 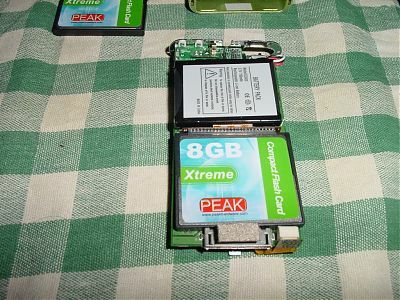 Thank you very much for this guide, I purchased an PEAK 8gb xtreme 120x, which works fine. Word of warning! It didn’t work at first when trying to restore it, but i realised this was because I had some ipod updaters installed on my computer that itunes had downloaded for my Nano. Once i deinstalled these, the mini was restored fine. This is awesome. I just got an A-DATA 8GB card off eBay for $43 including shipping. —Put it in my dead 4GB gen 2 mini, and connected to my computer. iTunes started and recognized that the iPod was in “recovery mode” and said I needed to restore. (iTunes ver 7.6.1.9, which I think is the latest.) I clicked restore, it restored the iPod and proceeded to download my music. The only minor hiccup was that my playlists were somewhat hosed. —Not sure why, but it was easy enough to fix. I just deleted them and recreated them. For 43 bucks, I now have a working iPod with 2x the memory and no hard drive to crash. BTW, I did not reformat the CF card before putting it in the iPod. Actually, I had no way to. My reader was old (and wouldn’t recognize it). Ditto for an old digital camera I had. But it works, so it’s a moot point. My only other word of caution is to be very careful with the connectors. I suggest using something like the plastic part of a bic pen cap (maybe cut down a bit) to get under the connector. Pry one side up a little, then the other side. Work back and forth a couple of times to get it to pop out. This is true for both the wheel connector on the bottom, and the connector to the hard drive. These look pretty easy to mess up. Thanks for the hack Mark. I’m a very happy camper! would this work on a 4gb ipod mini? i want to upgrade to 8gb? I just did this last night, and it went flawlessly. I very carefully opened up my iPod mini, and put in an A-Data 8G flash card and a new battery (which was my other priority). I can’t remember if I saw this tip here or somewhere else, but I used a guitar pick to help loosen the top and bottom covers on the iPod, and that worked great and didn’t scratch anything. Opening up the iPod was definitely a bit scary, but I took my time, never forced anythign, and referred back to this and other tutorials several times throughout the project. And now I have a fresh battery, twice the capacity, fewer moving parts, and lower power consumption! I got a Lexar 8GB Premium II (the 80x) one to work.. Tried it in a 1st Gen mini and had no luck. Tried a 2nd Gen and worked first time.. Think the first gen one might need updating though; reported being at 1.2v or something?.. The 2nd one reported at 1.4 so it might be that. Trouble is; i cant get Rockbox to fire; says there is no partition? there is a link to update the firmware; or bootloader. I tried to use CF card in mine mini, but it’s not doing anything different. I first got the message with the folder and exclamation point, so I ordered the CF card and followed the instructions to install, very good, simple to follow, I had already done the battery. Well I still get the folder and exclamation point. I hooked it up to Itunes on my PC and hit restore, it tells me to disconnect and hook up to external source, however, I never get the picture on the IPOD itself showing this step, I simply keep getting the APPLE, then the folder with exclamation even after I disconnect and connect to the external. So it seems like nothing has happened at all….I’ve tried going into disk mode too and no difference, I never get the screen shot showing me to plug into and external source. It does say it in the Itunes pop-up message. I don’t know what else to do… Thanks for any help you can provide. I figured out what my issue was from my July 31 entry, I took out the CF card, plugged it into my Card Reader on my PC and had to Format it first. Once I completed the Format process BINGO! I put it in my Mini and now I have an 8 GB IPOD!! Thank You for the insight to do this, you should add in the step about FORMATTING the CF card first. Thanks AGAIN!! It is working with a TS8GCF133 8GB trascend. I connected the memory with the wronge pinout the first time, and (as expected) it did not work. I reopen it, inverted the memory, and it worked right away. The first time i was not able to force disk mode since the memory was inverted. The second time (inverting the memory) worked like a charmed. Excuse my english, im spanish. I also replaced the battery with a higher capacity one. 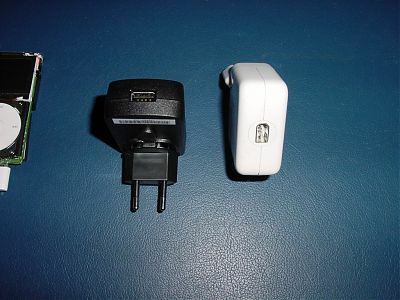 Hi all, well I am excited to install the compact flash card into my failed mini pod, I am wondering: I’ve looked online here and there for a dealer of this product within Canada and can’t seem to locate one.. anyone have any suggestions, I’d rather make a purchase from a licensed dealer than an ebay dealer. Or anyone know of a dealer willing to ship the card to Canada? seems as the the U.K has the market cornered on Compact Flash Cards. BTW, i have a couple of ram chips left over from my macbook – from when I upgraded to 4 gigs. Wondering if anyone knows of a use for them? perhaps I could integrate them into my ipod min … hmm?? Hi all and special lots thanks for this great site. 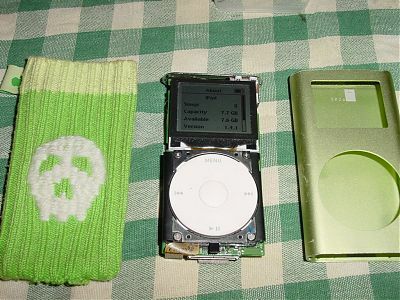 @ivan rea: yes 32gb works fine + Rockbox 3.0 on ipod mini 2G :) I use a Hama speed pro 200x CF-Card: Don’t change the “removeable media” bit, no fixed. that will make itunes detect “corrupt” ipod, and restores it automatically. BTW, 16 GB CF card, 120x runs OK on Ipod mini 1G. hi, i would also like to try this memory bard thing, but i just want to know: if i do change my apple cf to a non-apple cf, would i still be able to use the itunes or do i have to resort to this ilinux thing? please email soon….thanks…. You can still use iTunes. Everything works exactly the same as before, you just just have more memory. Has anybody had success with a 64 gb card? Does anybody know where i can buy a 64gb card? Every site i’ve been too has them sold out. also: @ #71 ..regarding the SD card adapter, HAS ANYBODY TRIED THIS AND GOT IT WORKING SUCCESSFULLY??? 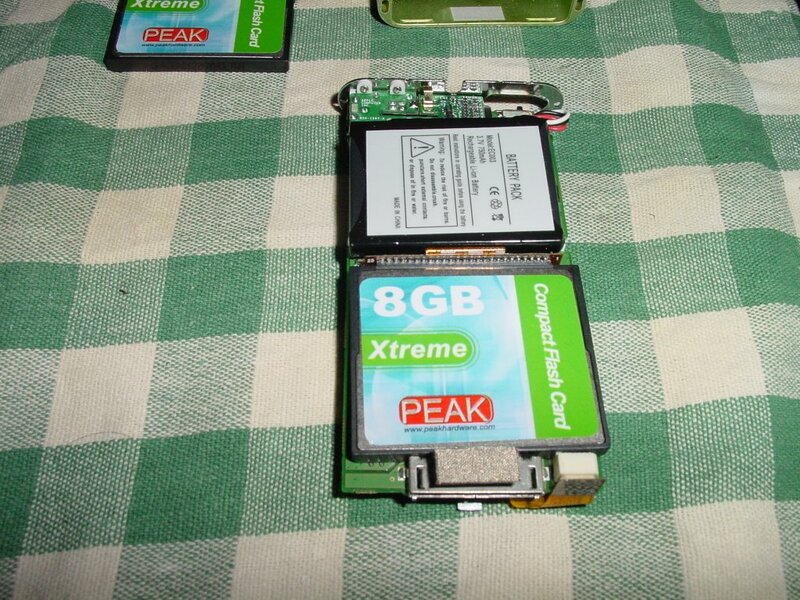 here is a 64 gb card i want to buy, any luck with similar brand working in the ipod mini?